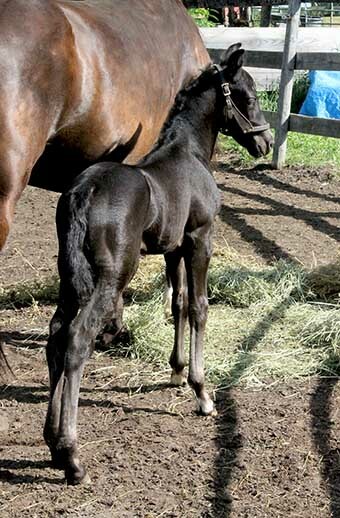 This colt reminds me very much of his sire disposition-wise. 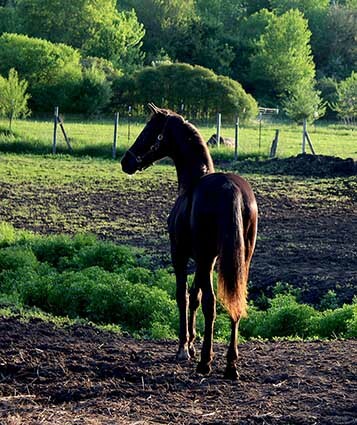 He is kind and willing and doesn't get into trouble. 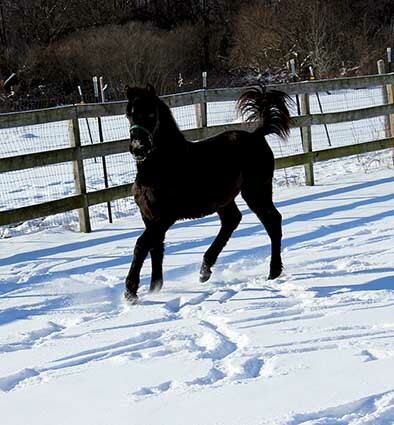 He is very soft-natured, laid-back, and easy going. 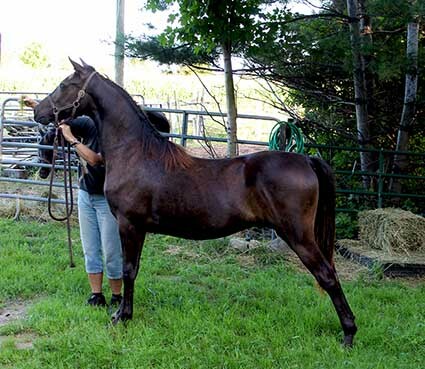 He will likely end up being a stunning western pleasure contender and he will be very eye catching in silver! 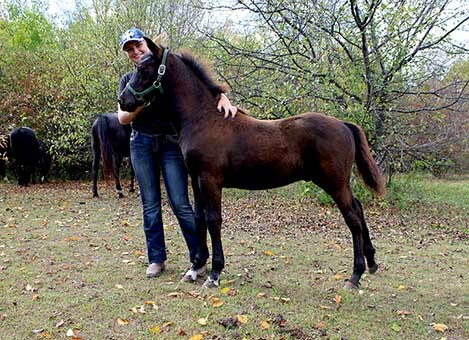 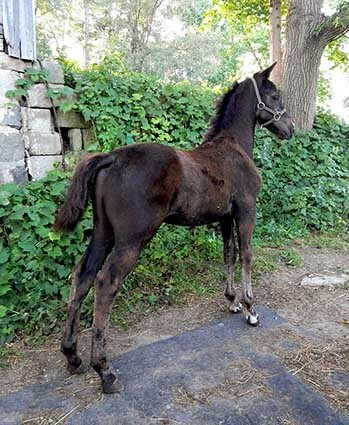 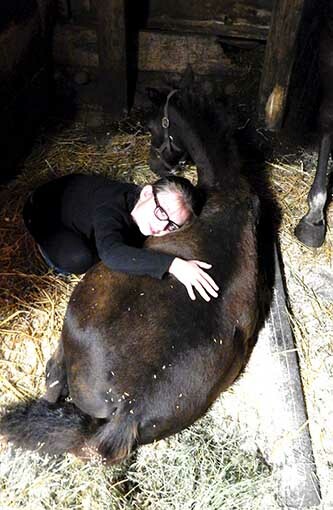 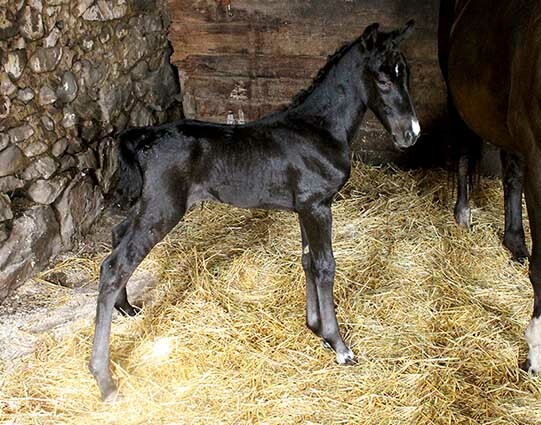 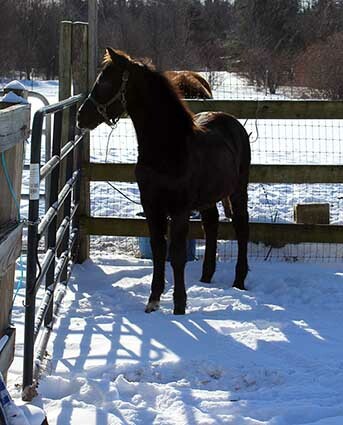 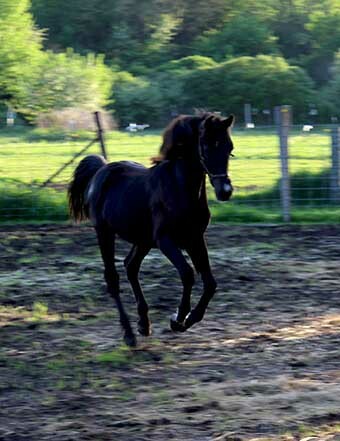 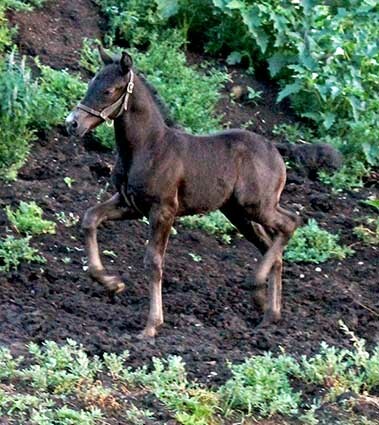 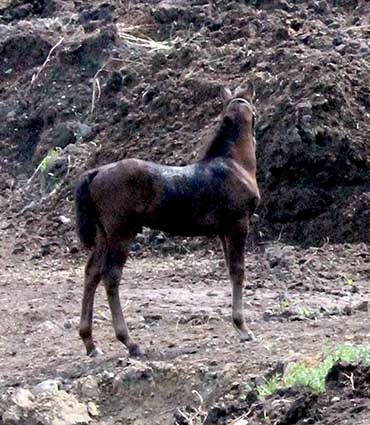 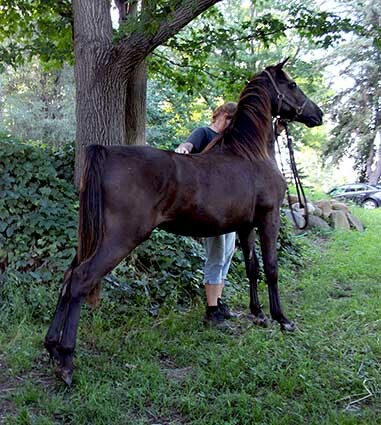 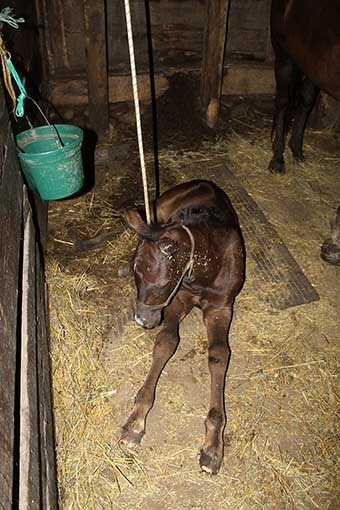 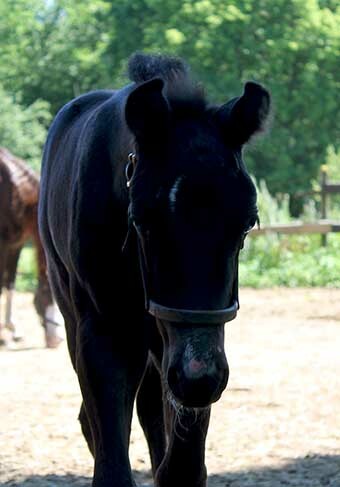 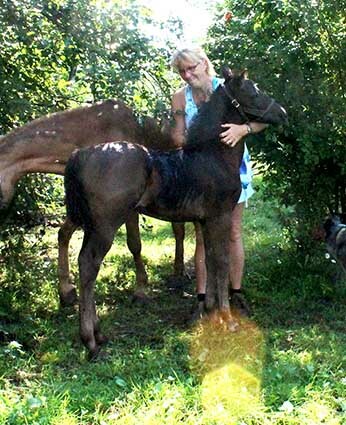 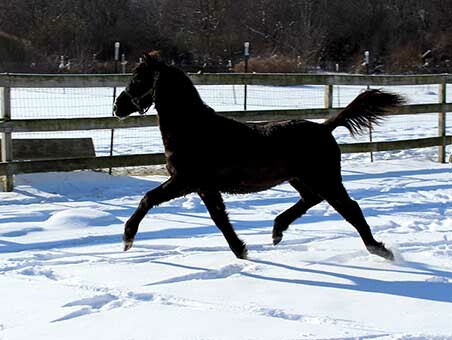 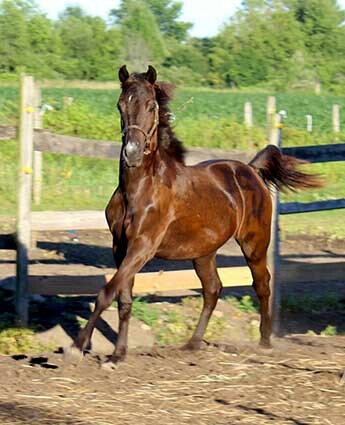 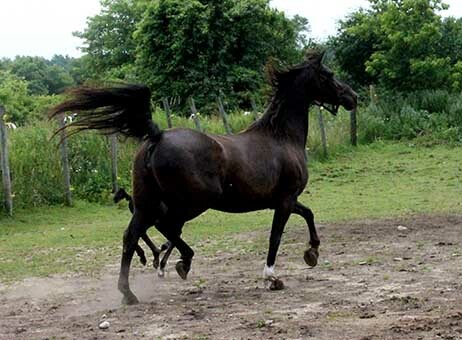 Not only is he the very last foal sired by his sire (and named for him, too), he is a smoky-black color. 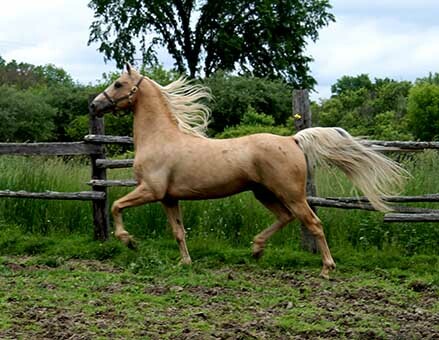 This isn't a term to describe the shade of black - it's a term modifier meaning he carries the dilute gene and is capable of producing buckskin, palomino, and smoky blacks 50% of the time crossed on traditionally-colored mares. 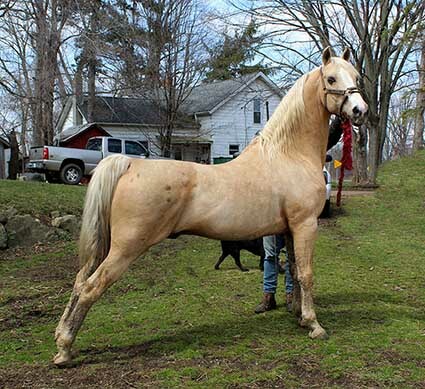 He is one of only two Blitz sons still intact - and the only one with the dilute gene for those gorgeous blond coats. 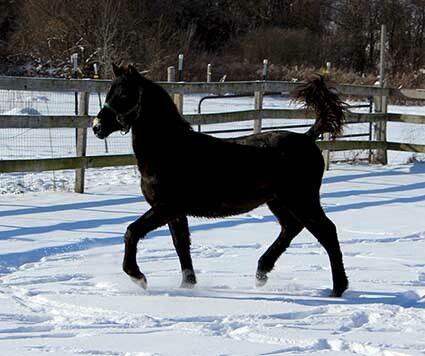 His disposition is such that he doesn't warrant castration. 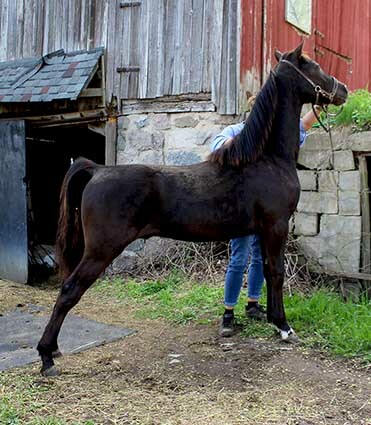 The Morgan breed can use a few more quality "color-producing" stallions and I would like to see this gem go to a breeding home. 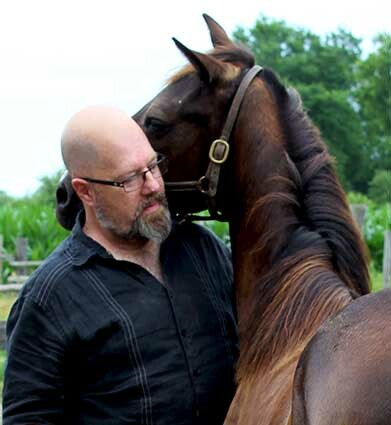 It isn't mandatory, though. 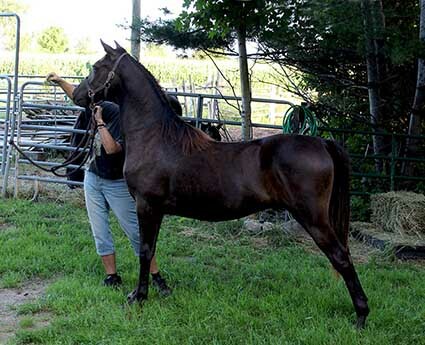 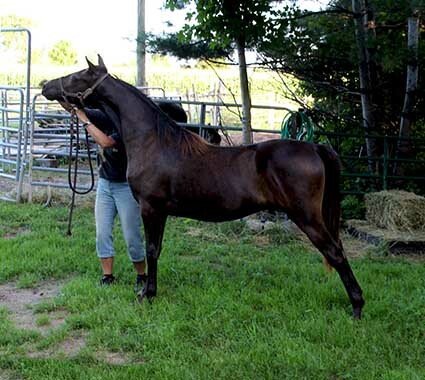 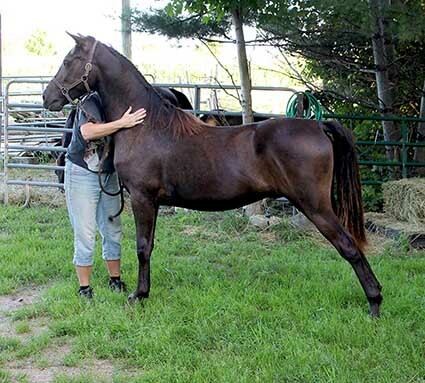 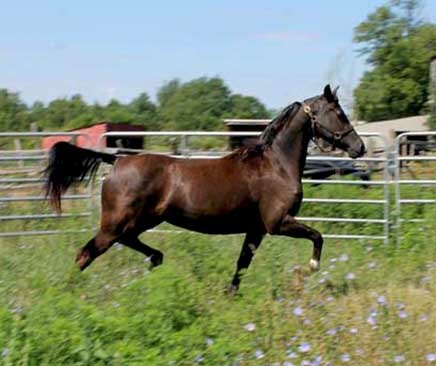 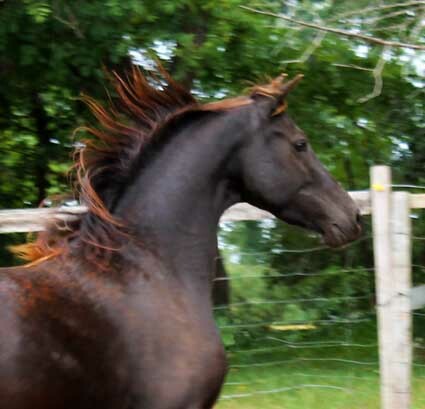 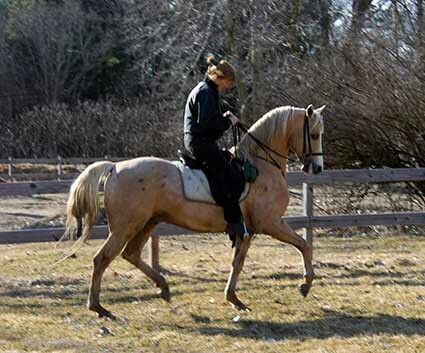 Gelded, Tai will make a child-safe, confidence-builder type of Morgan. 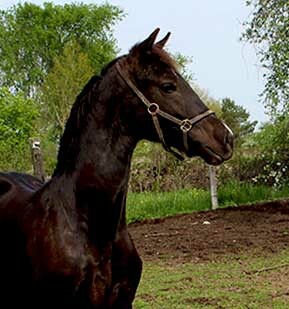 We proudly offer Mai Tai for sale.